We three friends me (Qasim Shahzad), Ramzan and Qamar were free from the exams of first year so we made a plan to go for a trip. One of us sugessted to go to Rohtas Fort (Qila-e-Rohtas), he was already visited the Rohtas Fort so he recommended to go to Rohtas Fort. Next day(July 1st, 2011), in the morning at 6:00 am we take our bike and set out for a lovely trip in the lovely weather from Gujrat. Indeed it was a low rainy morning which make our journey much enjoyable. We were traveling at the G.T. Road built by Sher Shah Suri. On the road there are low hills which increase the beauty of road. In the way we stop at a road side hotel and enjoy the beautiful rain with the tea then we restarted our journey. About in one and half hour we reached Rohtas Fort from Gujrat. ROHTAS FORT is a UNESCO World Heritage Site. It is situated on G.T road, about 25 kilometers away from the Kharian, after that you have to travel 8 kilometers more from the Dina on a stony way, after traveling that way you will arrived the Rohtas Fort which was built by a brave Muslim Ruler Sher Shah Suri in 1541 for his defence from Mughal Emperor Humayun. His real name was Farid Khan. The G.T road was also built by the Sher Shah Suri. I was very excited to see the fort. 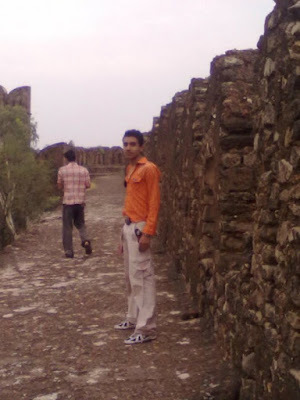 The fort was realy very very amazing and rememberable, now the rain has been stoped but the sky was cloudy. Because it was a early morning so there was no visitor except us. We park our bike and took a dainty breakfast and loked at the map of fort and decided the museum to start our visit. There were the weapons of Sher Shah Suri and mummies of his wives and many other historical things. Then we went to Talaqi Gate and Rani mahal. The Rani Mahal was also very beautifull, we took some photos there. We also visited some havelis. There was also a beautiful park in the fort. Now we were tired and decided to take some rest, so we went to the park and took some rest and drink cold drinks and snacks. Now a lot off other visitors from different sides of country were also there. The walls of the fort were realy visitable which were built for the defence, so we climbed up the wall from the stairs. In the start i was fearfull to walk on the wall but after some time i was excited. In the walls there were holes, from these holes the soldiers threw boiled water on the enemy's army if they get closed to the walls of the fort, there were also fixed places for standing the Archers. There was a deep well about 200 hundred down stairs. Still there were many worth visiting places but now the sun was setting down so we say good bye to the fort with the hope of coming again. We also enjoyed biking on the G.T road in the evening, now the hills were looking some horrible. 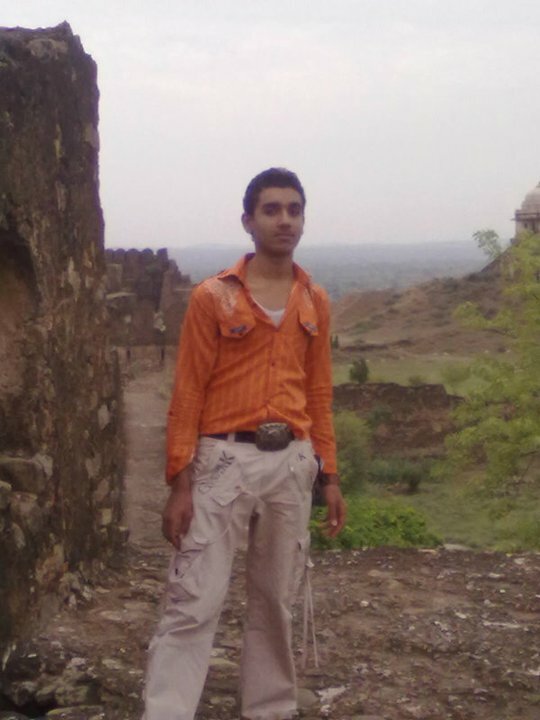 I can not forget my visit to Rohtas Fort though my whole life. I will also recommended to all my friends to visit that beautifull Fort. Some parts of this beautiful Rohtas Fort are destroying by times, so i requested to our government to give special concentration to this great part of our history. 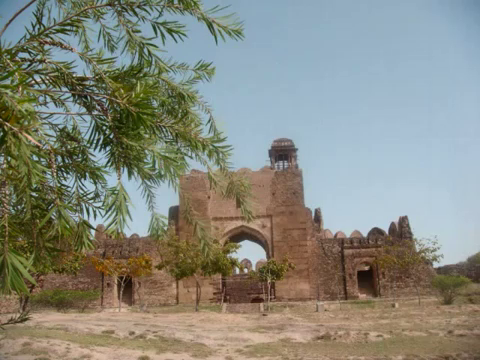 Rohtas Fort is a symbol of great Muslim history and a valuable archeological site. The Rohtas Fort looks interesting. I love visiting old and historical places like these. I also hope the government will be able to preserve this heritage site.